Apple and other techs are helping the Nasdaq get closer to a record. But so are non-techs like Walgreens, Kraft and Starbucks. 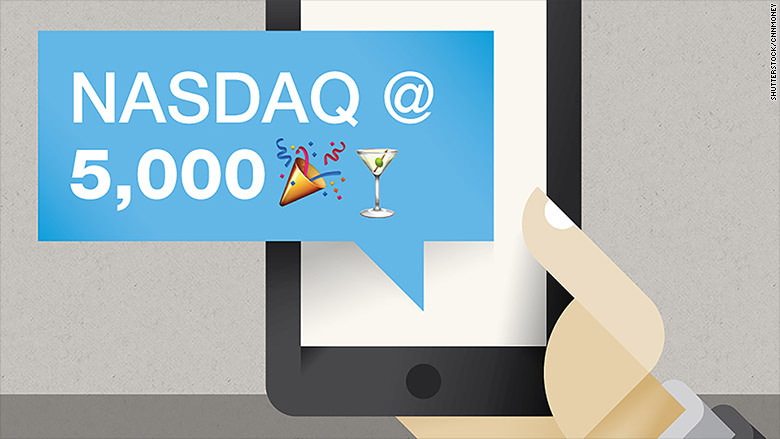 The Nasdaq has finally topped the all-time closing peak of 5,048 it hit 15 years ago. And it's the best major market index in the United States this year. 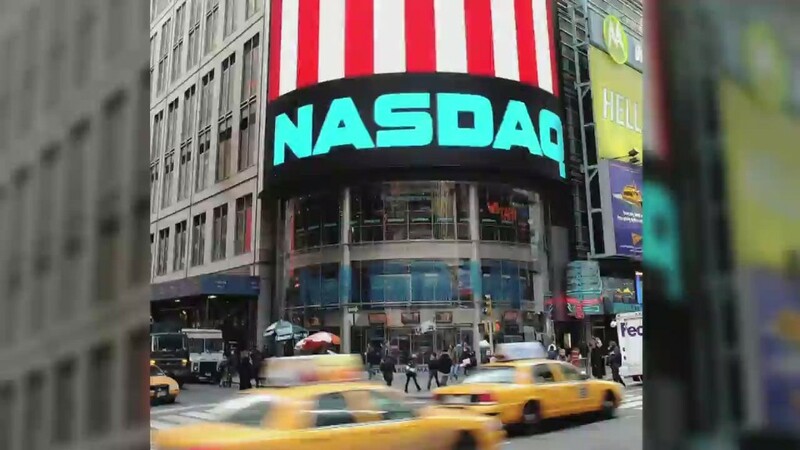 Why is the Nasdaq, which is up nearly 7% so far in 2015 and approaching its record intraday high of 5,132, doing so well? A lot of it has to do with the strong rally in tech stocks. Many of the biggest and most well-known companies in Silicon Valley are listed on the Nasdaq. Netflix (NFLX) is the best performer in the Nasdaq-100 -- which tracks the biggest non-financial Nasdaq companies -- this year. It's up nearly 65% thanks to insanely strong subscriber growth. Several other techs are also helping push the Nasdaq higher. Amazon (AMZN), Apple (AAPL) and video game publishers Electronic Arts (EA) and Activision Blizzard (ATVI) are all among the top 20 Nasdaq-100 stocks this year. They're also leaders in CNNMoney's Tech30 index. But some of this year's big winners may surprise you. Macaroni and chesse. With a caffeine shot. While most people immediately think of tech stocks when they hear the word Nasdaq, many of the best performers in the Nasdaq are not exactly at the cutting edge of innovation. The second-best performer in the Nasdaq-100 is Kraft (KRFT). It has surged more than 40% after the co-owners of Heinz -- Warren Buffett's Berkshire Hathaway (BRKA) and private equity firm 3G Capital -- announced plans for Heinz and Kraft to merge. Kraft may be the only consumer products company to get a takeover boost. But it's not the only one that's surging. Caffeine is Wall Street's favorite drug this year. Monster Beverage (MNST) is up nearly 30% while Starbucks (SBUX) has gotten a nearly 20% jolt. And a handful of retailers are all sporting double-digit percentage gains this year, such as Walgreens (WBA), Dollar Tree (DLTR), Tractor Supply (TSCO) and O'Reilly Automotive (ORLY). It just goes to show that consumers are still spending somewhere even though overall retail sales have been weak. M&A leads the way. Still, mergers (and takeover rumors) are responsible for some big pops in other Nasdaq leaders, too. Drug maker Mylan (MYL) is up nearly 30%. Rival Teva (TEVA) has launched a bid for it. Altera (ALTR) is up 15% this year -- mostly due to chatter that Intel (INTC) may want to buy the company. And pharmacy benefits manager Catamaran (CTRX) has soared after UnitedHealth (UNH) agreed to buy it. Russian rally ... and riding the Apple gravy train. Finally, there are some high-tech stocks in the Nasdaq you've probably never heard of that are absolutely crushing it. Russian stocks have been on fire this year as oil prices have stabilized and tensions in Ukraine have eased a bit. That's helped boost the value of Russia's ruble currency. One big beneficiary of the Russia rally has been telecom company VimpelCom. It's based in Amsterdam and lists its shares in the U.S. But more than a quarter of its subscribers are in Russia. VimpelCom (VIP) also has a big presence in Ukraine, Kazakhstan and Uzbekistan. The stock is up more than 40% this year. Then there are two chip companies that are happy to be part of Apple's supply chain. Avago (AVGO) and NXP (NXPI) both make components used in the iPhone 6. Their stocks are up 23% and 31% in 2015, respectively. So if you own the popular QQQ ETF (QQQ) that tracks the Nasdaq-100, be thankful these companies are in it. They just might help push the Nasdaq to a new record before long.